Hot air ballooning had been on the bucketlist of a while now. We couldn’t do it in Jordan as our budget was going for a toss; Jordan is much more expensive than you would expect it to be. I couldn’t do it in Kenya either …paucity of time did not allow me to allocate additional hours for the hot air balloon ride. My ride over the fairy chimneys in Cappadocia, Turkey will have to wait for quite a while until conditions become more stable in the country. Serendipity always makes me smile! 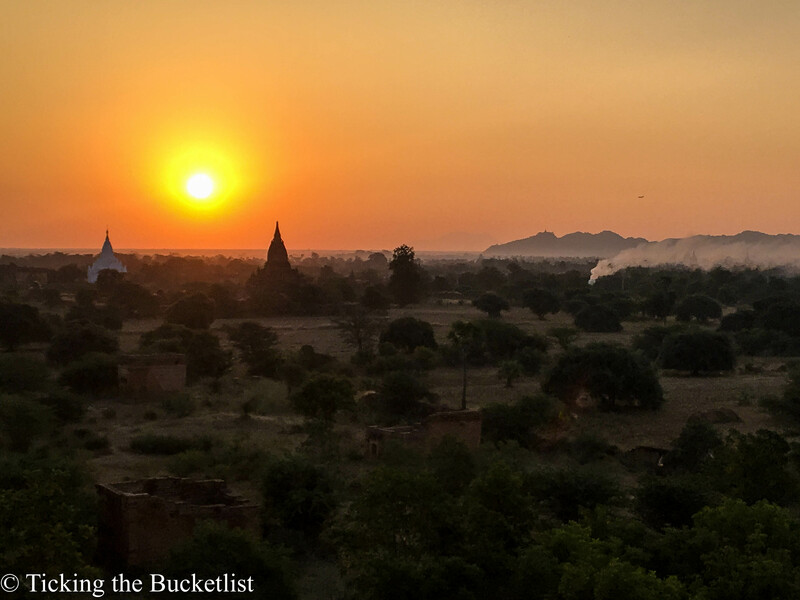 As I planned by trip to Myanmar, I figured out that hot air ballooning over the plains of Bagan is an activity that a lot of people rave about. 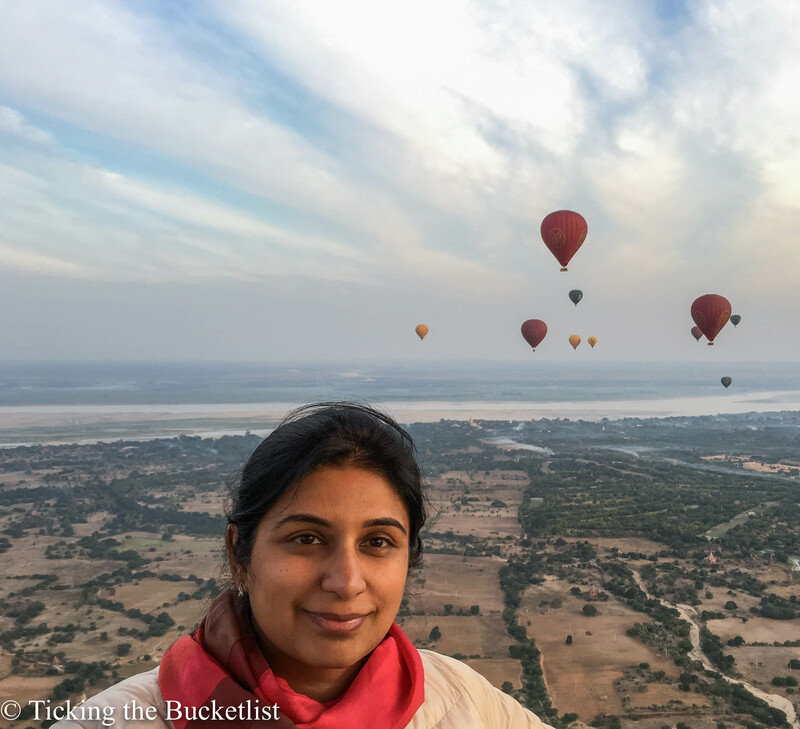 As Myanmar was turning out to be easy on the pocket, I figured out that I could spare cash for my maiden hot air ballooning flight with Balloons over Bagan. 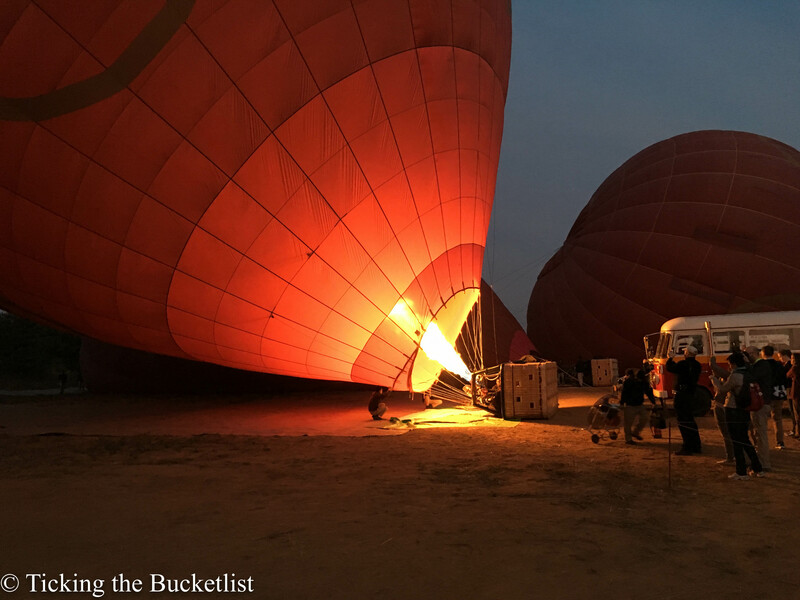 Yipppppeeeee…finally, I would be able to tick an item on the bucketlist! 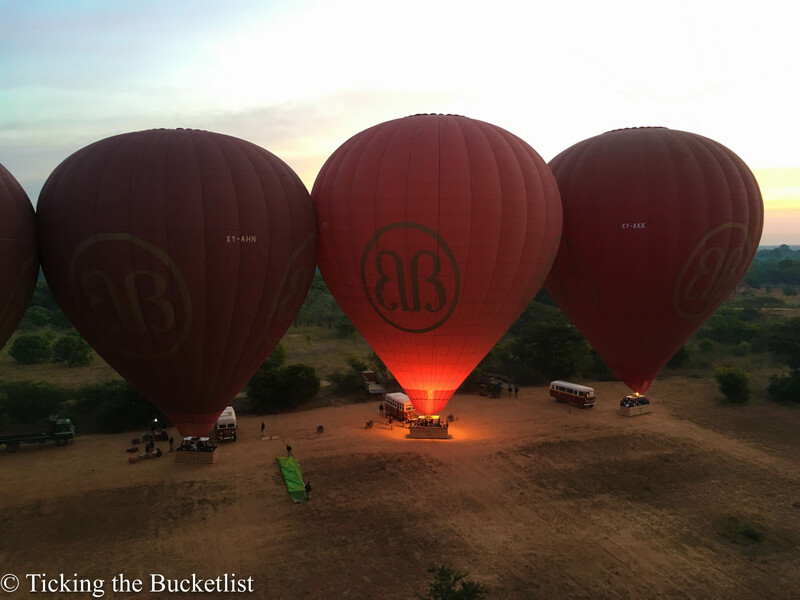 There are plenty of travel agencies offering the hot air ballooning excursion from three operators in Bagan. However, I decided to stick to Balloons of Bagan as they have been in the business for about 15 years. Their pilots know their job well and the company has an impeccable safety record. I sent an email to their office and received a revert within 24 hours, asking me for the exact date. They recommended that I take the fight on my first day in Bagan. This would give me room to get on a flight the next day, if the flight on the first day is cancelled due to difficult weather conditions (which seldom happens). I confirmed the date and my weight (husshhhh….that’s a secret) and was booked on a balloon. A point to note is that payment for the flight needs to be made online (by sharing credit card details) or in person on the day prior to the flight. In case making the payment is an issue for any reason, I would recommend emailing the staff with your problem and they will try to find a solution to the same …very professional! 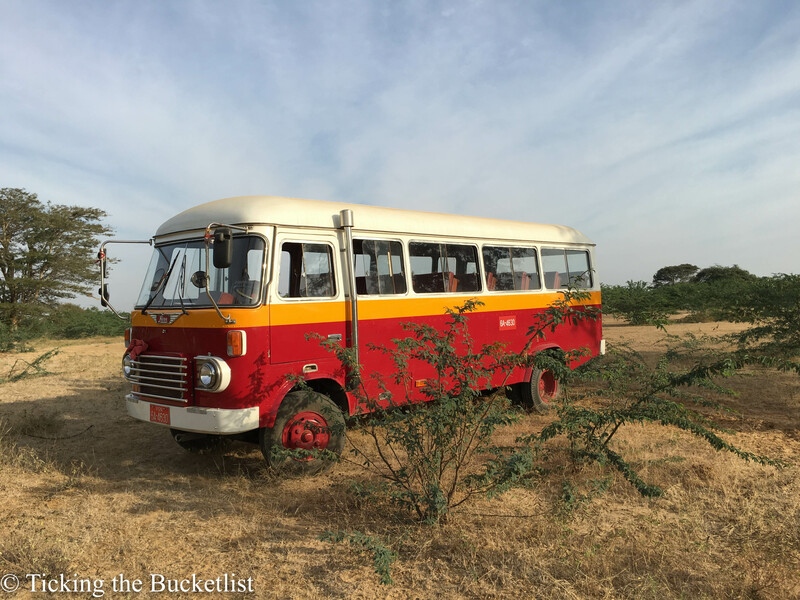 I was picked up from my hostel dot on time, at 5:30 am in a ‘vintage bus’. I believe that these are buses from the WWII era and have been lovingly restored. I have never seen so much of wood inside a bus; the handles and interiors were top quality wood! Maybe I should have expected good quality teak wood everywhere…I was in Myanmar after all! There were twelve of us in the bus…some still sleepy…others cackling with excitement! We reached the inflation site in about 15 minutes, where the pilots introduced themselves, divided us in groups and gave us instructions on the ‘safety zone’ where we could move around while the balloons were being inflated. As I watched the balloons being inflated with air, fans acting like bellows, I sipped some coffee and nibbled some biscuits trying to pull myself out of the snooze that enveloped me. Minutes later, when I saw the burners light up and the red balloon glow, pop went the snooze. I was all excited… clicking pictures, taking videos! The balloons were almost all set to fly. Our pilot, Fernando spent some time instructing on safety and the landing position that would be needed while landing or in case of emergenc. A couple of dry runs, and we were all set to take off. We watched the first balloon rise…and waited for our turn. And soon…we were up! 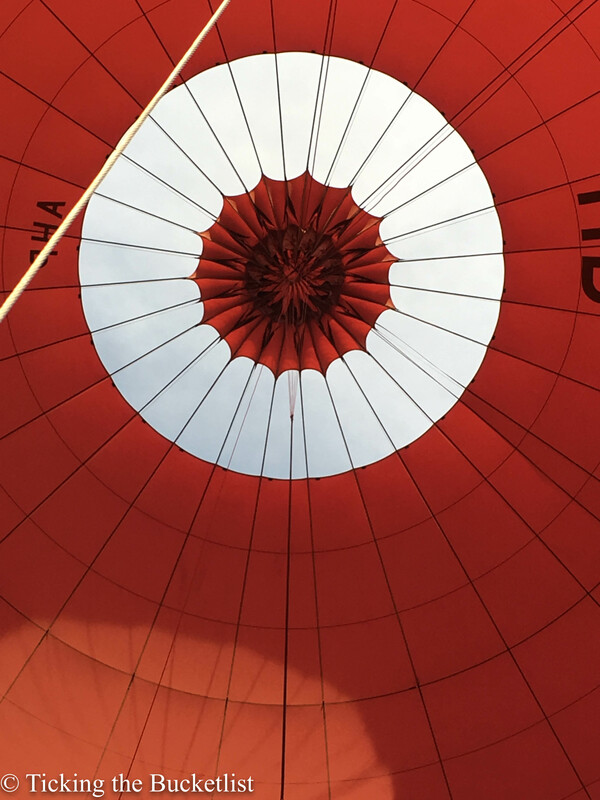 My maiden hot air balloon flight…I was up! I was up! Yahoooo! Yipppeeee! I forgot all about the sun and got engrossed in watching the other balloons…inflating..taking off…rising gently in the sky. It was still twilight and the sun was about to peep out. I tried to soak in every colour that the sky flashed. Soon, the sun was out …red… orange and then yellow! The Ayeryarwady River river shimmered like a silver ribbon. Maiden hot air balloon flight…time for a selfie! The pagodas on the plains of Bagan looked like inverted ice cream cone, albeit the big ones like Dhammayangi, Dhammayazika, Sulemani and Pyathada, to name a few. I made a mental note of the ones that seemed the most appealing from up above so that I could plan my day accordingly. 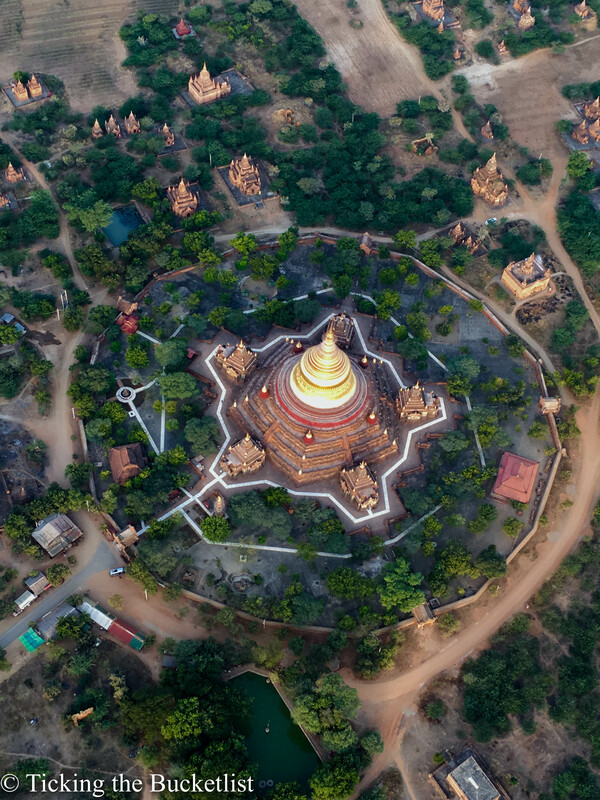 Dhammayazika from above…the only temple with five spokes! Our flight lasted for about an hour, which seemed just perfect. It was enough to soak in the sights …and stopped just before the sun started getting strong! We landed softly on a field and disembarked from the basket. It was time to celebrate the completion of our ‘voyage’ with some bubbly, cakes and croissants! 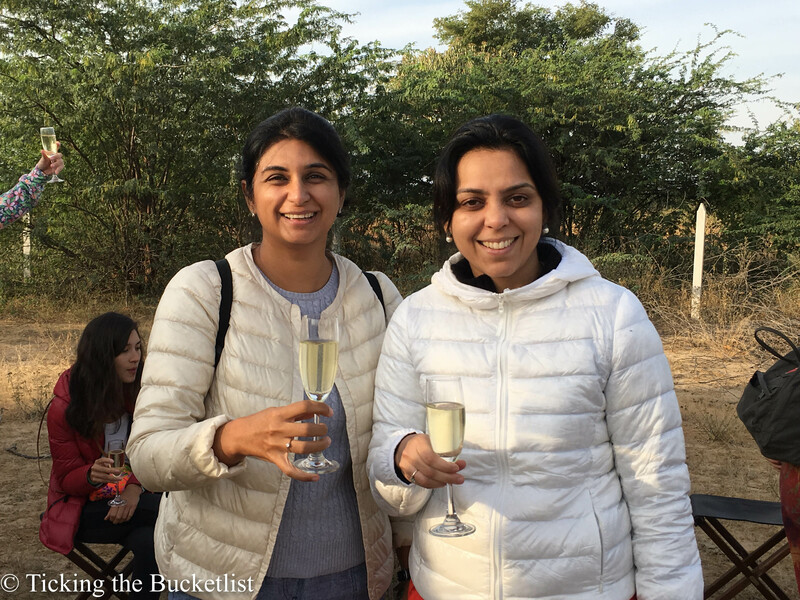 Cheers…I had ticked another item on the bucketlist! Flights are operational typically from 1st October to 31st March. Book your flight in advance to avoid disappointment. The mornings are cold, especially in the bus. Carry a jacket which can be taken off when the sun is up. Do not wear any loose clothing as a safety measure. Included in the cost is a pickup from your hotel, coffee and biscuits at the launch site, a glass of champagne and breakfast when you land. 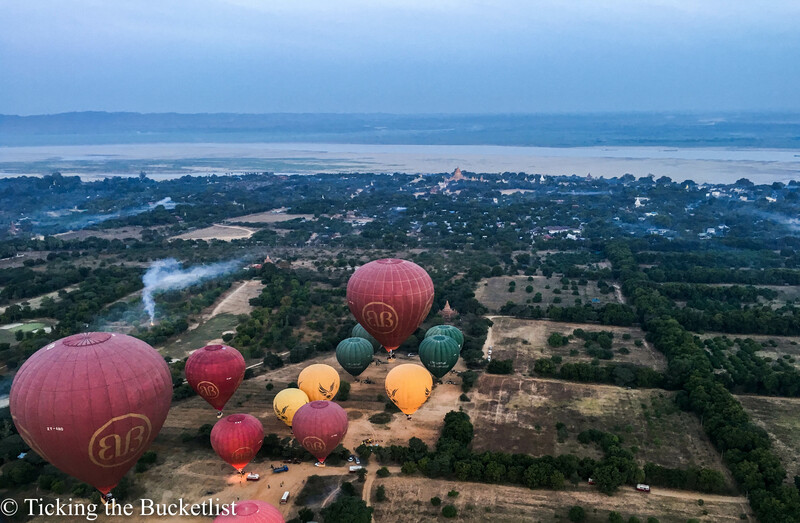 I received a discounted media rate from Balloons Over Bagan. That being said, they were still my operator of choice and all views above are totally unbiased and a product of my flying mind! Felt safe flying with Baloons Over Bagan. The crew was very good. They made it a very enjoyable experience. Balloons Over Bagan is fantastic experience,thanks for your tips,really useful for us..
Wow the views are totally worth it. Hot air ballooning had been in my todo list as well for long.. Thanks for sharing your experience. Agree! The larger pagodas look stunning from up above!